After graduating from Point Park College as part of the first bachelor’s class in 1968, Susan Trulove said she moved on and didn’t look back. 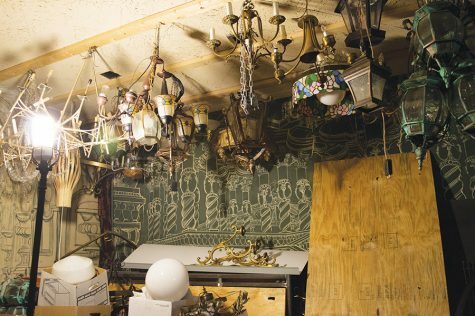 When she finally returned to Point Park about 10 years ago for a visit, she made a surprising discovery. A newspaper she created in 1967 was still alive and thriving. Trulove was a student in the journalism and communications program at Point Park College. Her tenure ended as the editor of “The Pioneer,” the newspaper of the college’s journalism and communications program, but Trulove wasn’t done at Point Park College. She thought the college needed another newspaper that wasn’t exclusive to students in journalism and communications. With the help of funding from the student council, she started the Globe. For the last 50 years, that philosophy has held true. 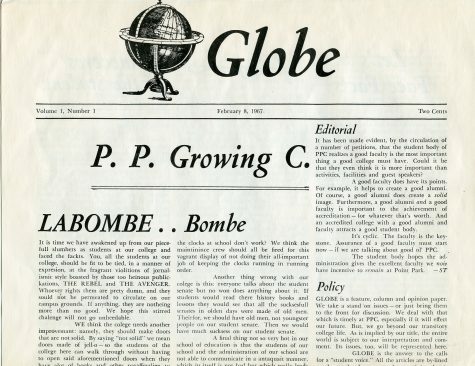 The first several issues of the Globe contained editorials commenting on the events of the world, particularly the Vietnam War. But there was more meaning behind the name. Trulove said the staff wanted a literary reference for the title of their new paper. So they turned to Shakespeare’s Globe Theater. The stage extended out into the audience, there wasn’t a curtain to hide the stage, and the only light came from the sun. 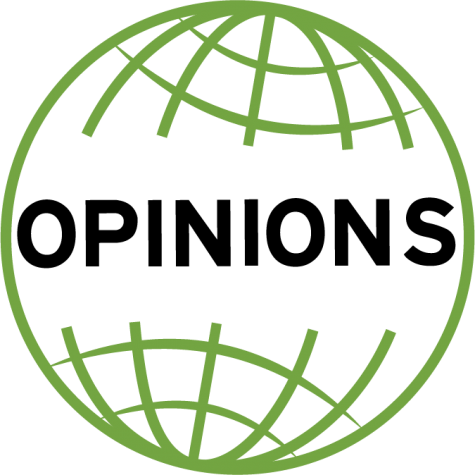 The staff settled on “Globe,” a name that has survived for 50 years. 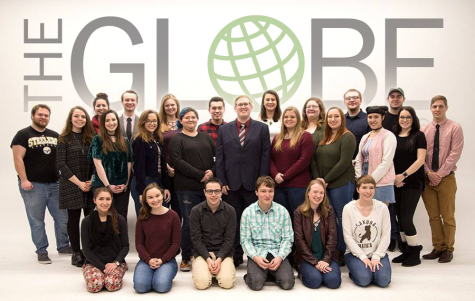 The Globe was and always has been a platform for Point Park students to gain experience reporting and to express their opinions. Trulove’s real world experience helped her establish a 30-year career as a science writer at Virginia Tech. She retired five years ago and currently lives in western Virginia. The Globe survived off and on throughout the college’s financial crisis in 1973, when journalism professor Helen Fallon was a student at Point Park. 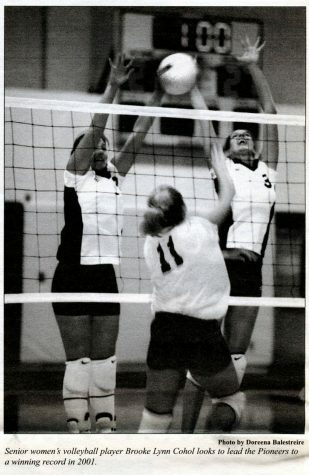 Fallon worked for the Pioneer, published by a class taught by longtime professor Vincent LaBarbera. Fallon returned to Point Park as a professor in 1986 and has taught hundreds of students who worked for the Globe that went on to have successful careers. She said students who are involved with the Globe, including herself, have Point Park’s student-run media outlets to credit for their successes. “It’s something that’s a very treasured part of the Point Park experience,” Fallon said. 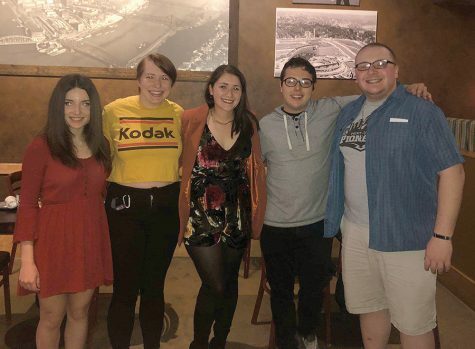 Former editors and staff members of the small college newspaper are now using their skills and talents around the globe. They’re not all journalists today, but most will agree they use their skills learned at the Globe in their daily lives. The paper’s alumni have all traveled different paths, ranging from marketing to real estate. Tom Bourke served as editor for the spring 1997 semester, and his path to and from the Globe was not that of a traditional journalism student. 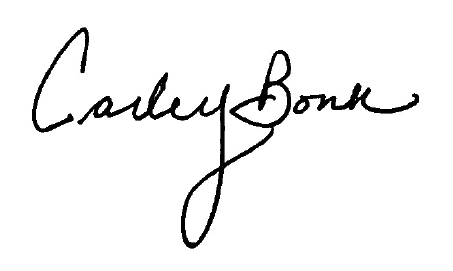 Bourke had leadership experience form the six years he served in the Marines prior to enrolling at Point Park. He graduated in 1999 with his bachelor’s in journalism, but reenlisted shortly after 9/11. When fighting in Afghanistan, Bourke applied his journalism skills and carried a notebook with his rifle. He continued fighting in the military as a journalist on the front lines, sending stories to soldiers’ hometown newspapers. Now, he works in Pittsburgh as a marketing expert at Distributor Service, Inc.
Andrew Goldstein took on the more traditional route for a journalism student. When his term as editor-in-chief ended in spring 2014, he landed an internship with the Pittsburgh Post Gazette that led to a full-time job with the newspaper, where he currently works as a staff writer. The Globe continues to evolve alongside journalism and communications as a whole. The paper is no longer pieced together with glue and X-acto knives, and all stories are published online at ppuglobe.com along with a digital copy of the print edition. One thousand copies are distributed to newsstands on campus each Wednesday, as the print product that Trulove helped launch in 1967 continues to thrive. While the process in which the Globe is created and distributed each week has changed, the relationships and bonds formed in the newsroom on the seventh floor of Lawrence Hall remains consistent. Former staff members have gone on to work for each other, with each other, and in some cases, marry each other. With the help of Facebook and the internet, Fallon has been able to keep in touch with several former Globe students, who she hopes to connect with at the Globe’s 50th anniversary alumni celebration on March 18.